Unitex’s weaving operations are ideally situated to offer expertise in the production of standard or specialised webbing products. Unitex webbings are used in a vast range of industrial applications from lifting and lashing product to agricultural, geo-textile automotive and aircraft seatbelts plus many more specialist applications. With a history of almost 100 years in the textile industry our know how is a major asset for innovation, engineering and development of new products. Unitex is used to manage innovative projects in close co-operation with both customers, suppliers and third parties. With a resource of qualified personnel we are able to build project teams around any market demand. Furthermore Unitex is one of the few manufacturers to produce webbing right through from the basic yarn to the finished product thus interchanching our technical ability and development expertise. With testing facilities and quality procedures in our companies we assure that all processes and products are controlled to comply with applicable standards and specifications. Our specialized equipment subjects samples to every conceivable test. Extension, surface abrasion, chemical exposure, tenacity, temperature and load performance profiles are just some of the tests undertaken. The standards and properties claimed for every product are established and approved by our highly qualified laboratory staff. 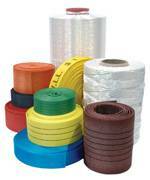 Unitex is a global producer of industrial webbings and Slings. The company has a historical base in Europe with weaving and manufacturing companies. We have been leaders in this industry for many decades. Unitex has also a brand new production facility in Asia. With a network of distributing companies and agents in all parts of the world we are able to provide quick response to all customer demands.